If you caught legendary UK SUBS bassist ALVIN GIBBS at Rebellion talking about his extraordinary time on the road with IGGY POP but didn’t manage to pick up a copy of his book, fear not! You can buy it exclusively from our own Vive Le Shop! Published by our new book company Extradition Book, Some Weird Sin – On Tour With Iggy Pop chronicles 230 nights touring across six continents on tour with the Godfather of Punk. The book vividly unveils a touring realm of drugs, alcohol reliance, Iggy’s tense encounter with Bowie backstage in NYC and single-handedly taking on Pepsi Cola Corp in the Antipodes. Discover also the decadent happenings at a Guns N’ Roses hotel room party in Texas and the cocaine-fuelled craziness that ensued after a triumphal show in Miami. After splitting from the UK Subs, Gibbs was living in Los Angeles in 1988 when he received a ‘phone call from his friend, ex-Hanoi Rocks’ guitarist Andy McCoy. McCoy had just joined Iggy Pop’s touring band and needed to know if Gibbs was interested in the available bassist’s job. By eagerly answering, ‘Yes’, Alvin initiated a musical association with Iggy that entailed sharing the stage with him for a nonstop eight-month long tour taking in every major city across six continents! 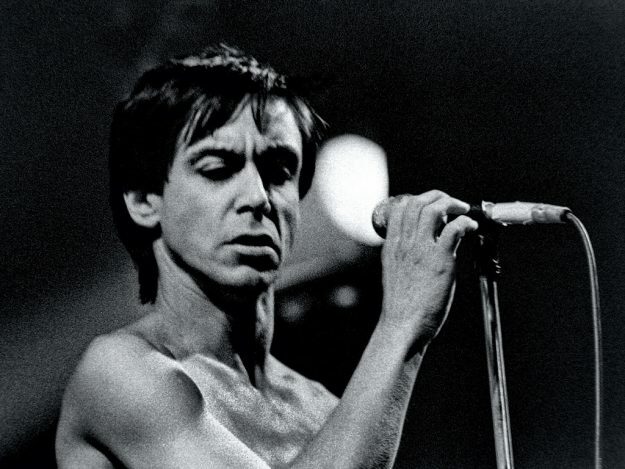 Follow Iggy around the globe as Some Weird Sin – On Tour With Iggy Pop candidly reveals the relentless travel schedules, illicit pleasures and satisfying stage triumphs of being in a band with the man who by general acclaim is considered to be the indisputable godfather of punk. It was an extraordinary ride. Check out Iggy, Alvin, Andy and co playing ‘Cold Metal’ and ‘I Wanna Be Your Dog’.